Awesome picture! 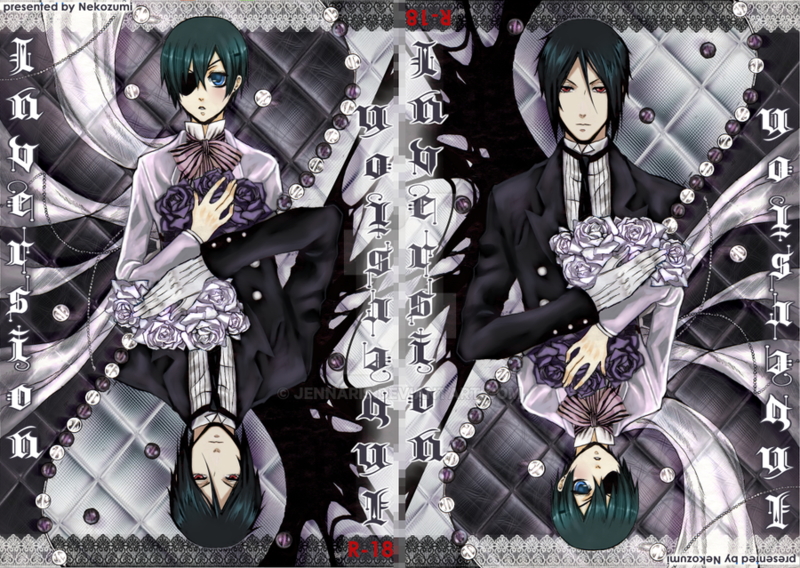 I really love sebby abd ciel! I <3 all the detail... I have an obssession with roses, lace, frills and all that kinda stuff. Very good!! i love this series!! Lovely shades of lavender. It looks just like the 'king of spades', however, I think that's intended. YEAH !!! that's totally it ! ^_^ I admire the way you can draw the characters from Kuroshitsuji in a way that's really synonymous to that of the original's - it's so cool~! The king game card is a really awesome basis - and is really original, nyaa~! And the coloring style *_* It's to die for. how many of this doujin of yours are sold worldwide? Kyaaaaaaaaaaaa!!!! It is so beautiful!! THIS IS SOOOO AMAZING!!!! X3 I LOVE UR ART!!! !